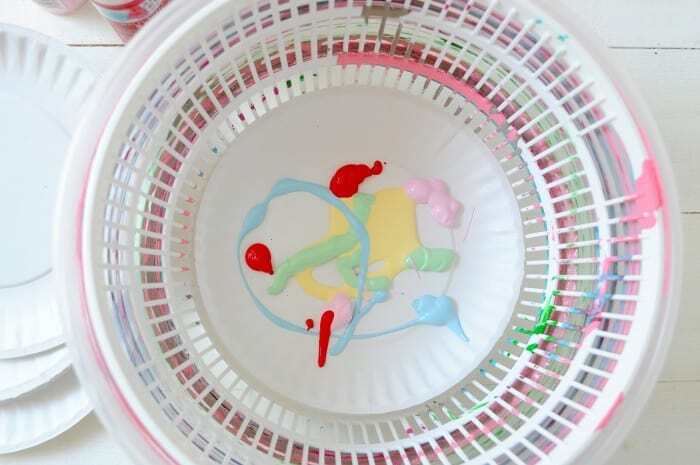 Make your own spin painter by using a household item as a spin painter! 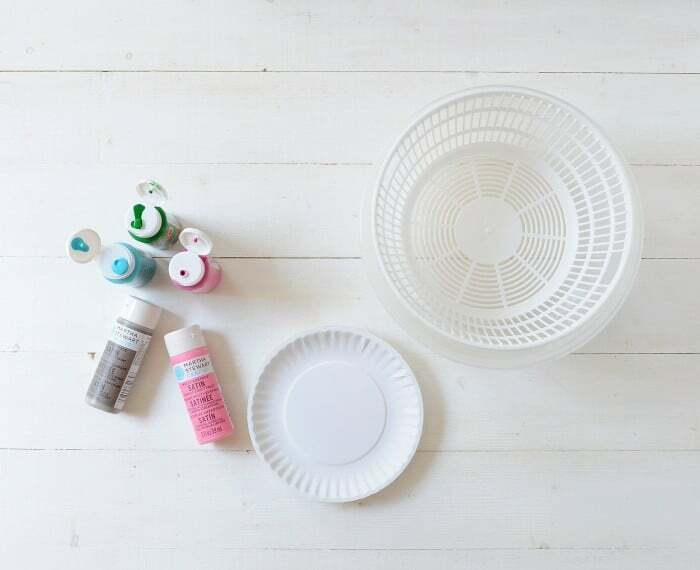 This DIY spin art machine is so fun for kids to do – it’s budget friendly and easy to set up. Check out the video at the end of this post to see it in action! Did you love spin art as much as I when you were a kid?? My spin painter was one Christmas gift that really went the distance! Spin art has been around since the 1960s and there are plenty of ways to accomplish it. Most common is a spin art machine you can buy. The thing is – you don’t need to buy a spin art machine. You can make your own spin painter! And I’m going to show you how. 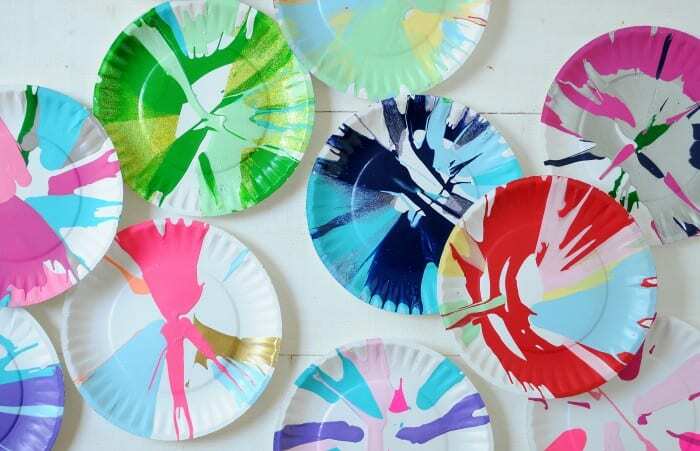 If you remember trying spin art, there was always something so exciting about experimenting with different paint combinations and then dropping them in to see it splatter into cool, colorful designs. You can recreate the fun with something really basic from your kitchen . . . a salad spinner! You’re going to want to choose a waterbased, acrylic paint for this application. Tempera paint will also work! Nothing oil based should be use as you’re looking for something that is child friendly. 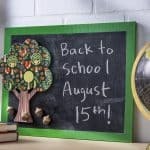 I recommend Apple Barrel acrylic paint or Crayola paints – both are safe for kids. Don’t forget to cover the area before beginning. Newspaper is a great option for this, or a plastic tablecloth from the dollar store. 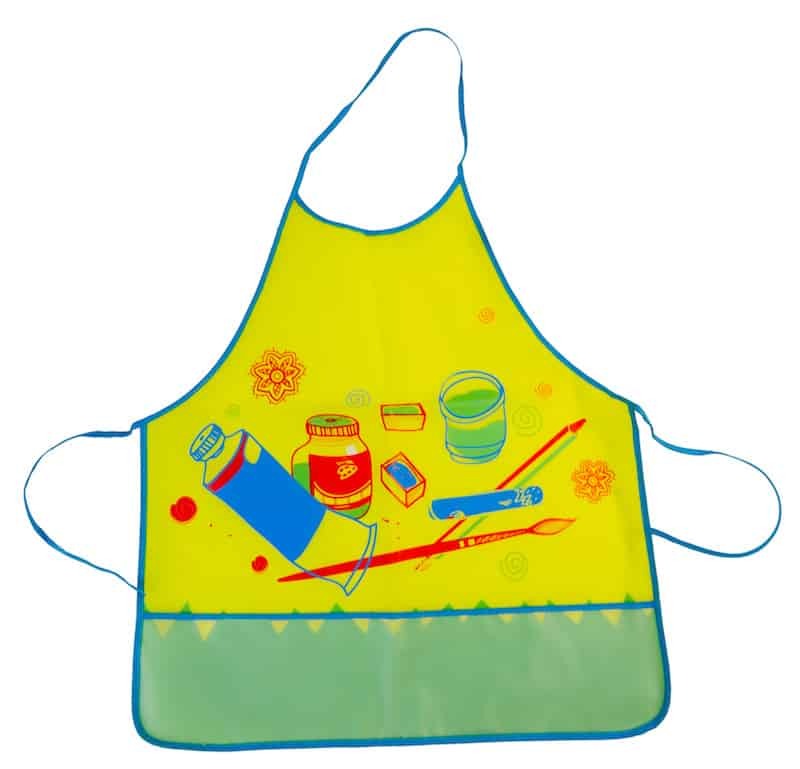 If you want to protect clothing I’d put kids in aprons too. Better safe than sorry and no one likes collateral damage! How is the salad spinner versus a spin art machine you’d buy online? Well, the salad spinner is definitely the more cost effective choice of the two. I got my salad spinner for $.99 at IKEA, and many times you can get them for similar prices at the thrift store. We had paper and paint on hand. It looks like spin painters online are about $13 and up, and they come with limited paint and paper. Besides that there are two big differences. 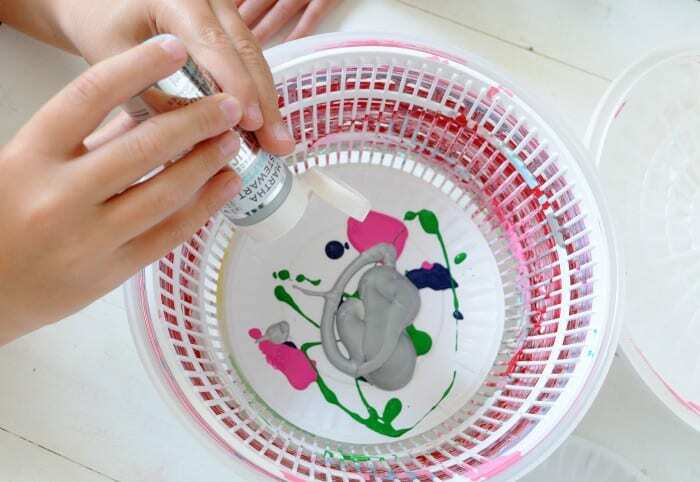 1) With most spin art machines that you purchase, there is a clear top/splatter cover that allows children to see what designs they are making as they add various colors of ink or paint. Your salad spinner art is going to be a surprise. Having said that, you can always add more paint and close the lid again if you don’t like what you see! 2) I found the salad spinner to make thicker lines and blotches of paint while the spin painter seems more detailed. Having said that, the acrylic paint I used is thicker than the paint that comes with machines. So you’re welcome to thin out the acrylic paint for more similar effects! We just used paint straight out of the bottle. 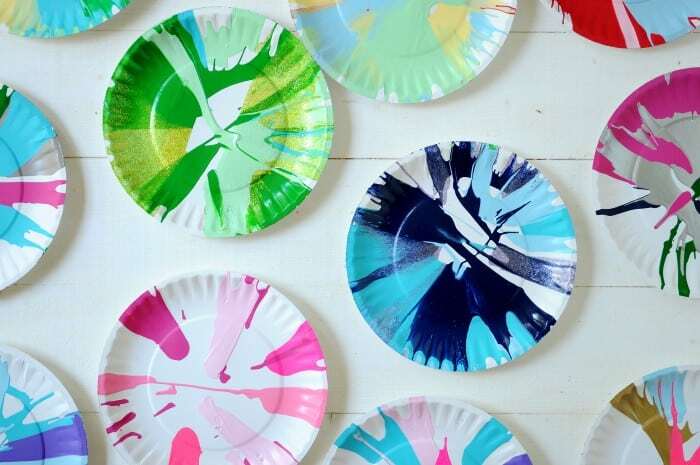 Either way, this spin art activity is going to be HUGELY fun for all involved! Here’s how to make your own. Then all you do is place a plate or piece of paper in the bottom of the spinner, add in a few squirts of paint, and give it a good spin! If you want to use paper, simply cut cardstock to fit inside the spinner. You’ll want to use something thick like cardstock so that the paper doesn’t fold over on itself while its spinning. We tried so many different colors of paint. Metallics, neons, and glow in the dark are fun too. Carefully remove your spin painter art and let it dry when you’re done . 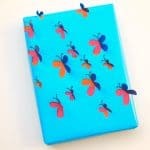 . . and then create beautiful crafts with all of your work. With a simple salad spinner, I shared my favorite 1980s craft with my littles. I think they’re as hooked as I used to be! What Can You Do with Spin Art? So many things! Here are just a few ideas. And there are so many more! I mentioned that spin art has been around since the 60s. Did you know that it can be seen in the works of many contemporary artists? Alfons Shilling was one of the first to be interested in this technique, and then in the late 60s Annick Gendron used industrial wheels to spin paint onto Plexiglas. If you’re a homeschooler or into art history, this activity could be perfect with a contemporary art lesson. Find other projects and simple recipes like this on my blog, a pretty cool life. and find me on instagram, pinterest, facebook, and twitter! These plates look so fun! I love all the bright colors and that they’re easy to replicate! Are you able to clean the spinner without too much difficulty and keep using it for salad? Elizabeth – it is easy to clean but no – don’t use it again for salad. You can buy spinners at the dollar store or old ones on eBay just for this use! Actually, if you use non-toxic, water-based paint, and wash the spinner before the paint dries too thoroughly, you can get it perfectly clean and in salad-spinning shape again very easily. (The plastic of the outer shell is usually very smooth and rinses off easily. A vegetable or bottle brush can help get into the little holes on the interior basket, if some paint sticks a bit.) I have one that was used for spin art at a couple of different pre-school fairs, and have continued to use it for salad long afterward. You’d never know it once had paint in it. FYI i noticed a typo on “from”: We’d love to hear drom you. Your instructions throughout this website are terrific. Not too wordy, but complete. And your enthusiasm shows. Fun and inspiring. Thanks! What size plates work best?